Frontend is the face of any project, that's why we give not less attention to it than to the code performance. Below are the screenshot examples of appearance of some of the original self-developed components, which are intended to visualize the results of asynchronous AJAX-requests. 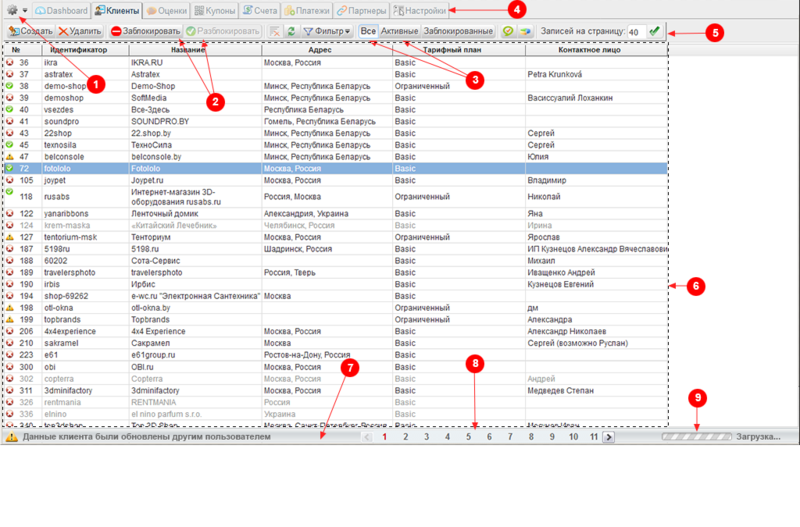 1 - main menu button (DropDownMenu); 2 - toolbar (ToolStrip) with buttons in different states; 3 - switching button group (SwitchButtons); 4 - tabs control (TabStrip); 5 - field with button; 6 - ListView with sorting on column header click; 7 - status strip (StatusStrip) with multiple panels; 8 - scrollable navigation panel (PageNavigator); 9 - loading indicator. 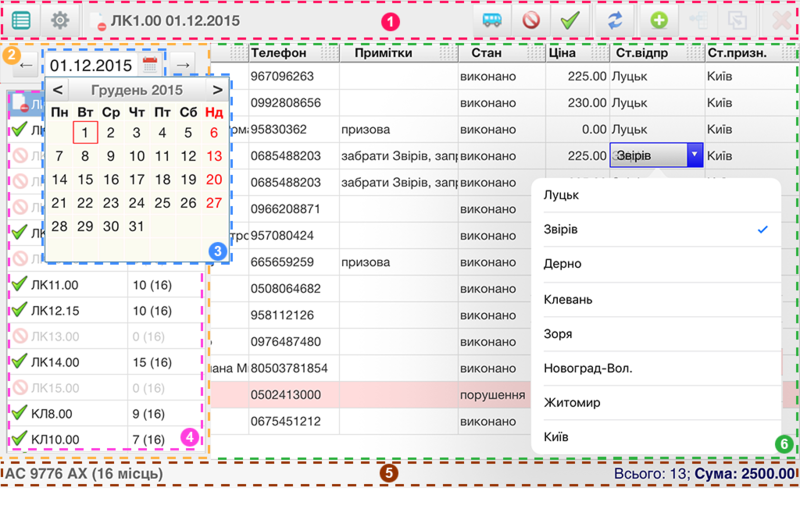 1 - toolbar; 2 - slideout panel; 3 - DatePicker; 4 - ListView; 5 - StatusStrip; 6 - DataGridView (with changeable column width and different cell types). 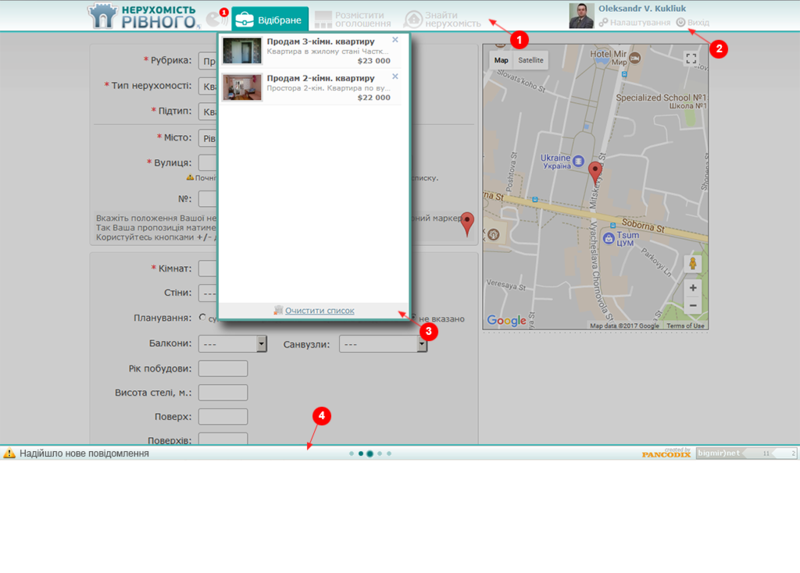 1 - toolbar, visualized as a tab strip; 2 - authentication widget, connected with the cloud authentication system; 3 - dropdown dialog for displaying list-like structured information; 4 - status strip as a site footer, displaying interface messages and Ajax-loadings.